Somewhere in the southern desert of New Mexico, more than 150 miles south of Albuquerque, lies a secret dump-site filled with E.T. technology covered in meters of cement. Thirty years ago, a high-tech corporation had gone too far too fast and decided to cover its tracks. One September evening as Almogordo streetlights flickered, a flotilla of dump-trucks came and went in the course of a twilit hour discharging alien cargo into a pit hastily dug. The next morning sleepy residents awoke to a quiet dawn and a wide pool of fresh cement. The trucks were gone, their payloads buried and secure. Industrial waste? Extraterrestrial debris? Perhaps both. The New York Times ran a 121-word story on the event that it buried in the Business section on September 28, 1983, the day the cement was poured. 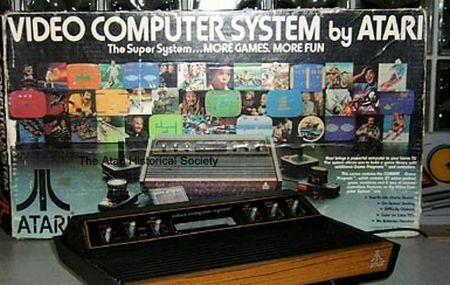 The company: Atari, Inc. The industrial, extraterrestrial waste: unknown, but stated to be “14 truckloads” of unsold game cartridges widely believed to be E.T., one of the most reviled and worst-selling video games of all time. But what else could be down there in that pit of despair? The “Atari Dump Site” story became urban myth, and resurfaced on occasion on discussion boards. On March 20, 2005, “Spud” started a discussion thread in the AtariAge forums, picking up where others had left off years earlier: “Atari’s Landfill Adventures, I now have the proof it’s true.” His post was met with cautious optimism alternating with outright skepticism. “The landfill story’s bunk. 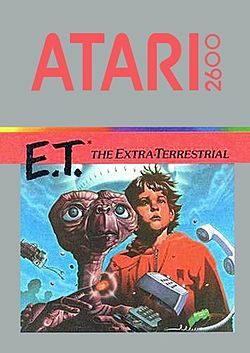 If it were true, why did Atari re-issue ET a few years later?? ?” sku_u argued. The myth got enough traction to warrant an entry in Snopes which was updated on June 1, 2013, on the heels of the May 30th announcement by KRQE that the city of Almogordo, New Mexico had approved the Atari excavation. Let’s stop there for a moment and consider all of the above within an archaeological context. What do we have so far? A factual account that something happened somewhere at some time. This event was so interesting that it was recorded in writing, but that story—author unknown—was handed down and changed, turning fact into myth. The story included buried treasure in a remote place, the location largely forgotten, and the artifacts are of historical significance and perhaps carry financial value as well. We’ve heard this song before. Consider the myth of the “Golden Calf.” My first field experience as a budding archaeologist was at the the Etruscan site of Poggio Civitate, near the Tuscan town of Siena. The name of the site translates loosely from the Italian to, “the hill of the civilization.” And on that hill? The Piano del Tesoro, the “Plain of Treasure”. Local rumor had it that somewhere atop that Tuscan hill was buried a calf made of gold, but no one knew quite where to dig. One day in 1966, Bryn Mawr archaeologist Kyle Meredith Phillips Jr. found himself in the tranquil village of Vescovado di Murlo. He learned of a farmer who had found an ancient helmet at the base of a hill nearby. Exploring further, Phillips climbed up and up and eventually discovered what would become the largest Orientalizing trade center in all of Etruria which is still being excavated today. By listening to stories and speaking with the locals, archaeologists can learn where the bodies (and buildings) are buried. Professor Yannis Lolos of the University of Thessaly himself conducted what is colloquially known as “Taverna Archaeology,” or the art of talking to locals in coffee shops and cafes to learn the whereabouts of hitherto unknown archaeological sites. For Lolos, these conversations happened throughout the Greek region of Sikyon, leading him to create a book and gazetteer for other archaeologists to use as they begin new excavations. So, too, then did the city of Almogordo disclose the real location of an unexcavated, mythical place filled with rumored treasure. But who is sponsoring the team that has received permission to dig? Who will be doing the digging? What’s the publication plan, and the plan for conservation and preservation? Will this be a real archaeological dig or a publicity stunt? After the initial rush of discovery, what then? And why was a Canadian entertainment company hired to do the job instead of archaeologists, anthropologists, gaming historians, and the like? Perhaps this will be a team effort involving individuals with varying skillsets and training. Perhaps not. Western Digs reported on June 4th that a Canadian entertainment company, Fuel, had received permission to both dig and film a documentary of their excavations starting in the summer of 2013 with a mandate to finish in six months. Fuel confirmed their participation to Western Digs. More information will be forthcoming from Fuel as preparations proceed. I have written to Fuel to learn more and will post a follow-up if I receive a reply. In a place like the Atari Dump Site, we are basically looking at what I’m calling a “flash-midden,” a large trash-pit that was created, filled, and closed within an extremely short amount of time (in this case over a period of about 24 hours). One might think that there would be no stratigraphy within the “fill” whatever it might contain merely because of the rapidity of dumping. I would argue that since we know that 14 truckloads of material were deposited into the pit, and that it’s probable that the trucks unloaded one-at-a-time, and that the trucks left Atari’s El Paso facility at separate times, that the first truck to arrive dumped the first load which contained Atari parts moved out of the warehouse first. So what did the workers place in that first truck, and the one that followed, and so on? The myth states that the bulk of the material were cartridges, most (or all) being E.T. The myth also posits that the buried material includes prototype games, consoles, and more, and that everything was crushed prior to leaving Texas. Everything was crushed. We’ve heard that song before, too. Archaeologists can probably count on one hand how many whole pots they have excavated in situ (and not in a grave context). Most pottery is excavated as tiny sherds, and many, many of these sherds are excavated from . . . wait for it . . . pottery dumps. That’s right. Thousands of pots tossed into trash heaps to fracture and break, later to be recovered by archaeologists to count, weigh, draw, and mend. One wonders then what will become of Atari’s discarded plastic and metal pieces to be recovered in Almogordo. How much does all that rubbish weigh? And will the excavators find something they can salvage and even try? What did Atari choose to discard and why? And why choose to excavate this midden now? This dig will reveal as much about the nascent gaming industry as it will about us. This summer’s excavation of Atari’s burial ground is serious play indeed. And if Atari did this back in 1983, what of Intellivision, ColecoVision, and others? Will Fuel’s team leader be a Howard Carter or a Geraldo Rivera? Time will tell. I hope to visit the site later this summer to see what’s happening, what’s been found, and to talk to the excavation team and report back as they unearth the recent past which at one time seemed to millions of children and their parents to be the very edge of the future. This is all pretty surreal – one would hope that, at the very least, they contract a good CRM firm to actually do the work, which, presuming that it really is all cemented over, is going to be labor-intensive to say the least. Looking forward to hearing more.